• Pressure boosting for high rise buildings, hotels industry etc. • Industrial washing & cleaning systems. • Cooling & Air Conditioning systems. • Boiler feed and condensate transfer system. • Irrigation systems for fields including sprinkler & drip irrigation systems. Following are the main features and benefits offered by the LES pumps. • The pumps are non self priming horizontal end suction pumps with axial suction port and radial discharge ports. • Standard flanges for suction and discharge ports will be ANSI 125 and ANSI 250 as per ASME B16.1. PN 16 as per DIN standard EN 1092-2, PN 25 as per DIN standard EN 1092-2 are available on request. • Performance and dimensions comply to ISO 2858. • These pumps are close coupled pumps with TEFC squirrel cage induction motors with main dimensions complying to NEMA standards MG 1-2006. • These pumps are available with mechanical shaft seal only. 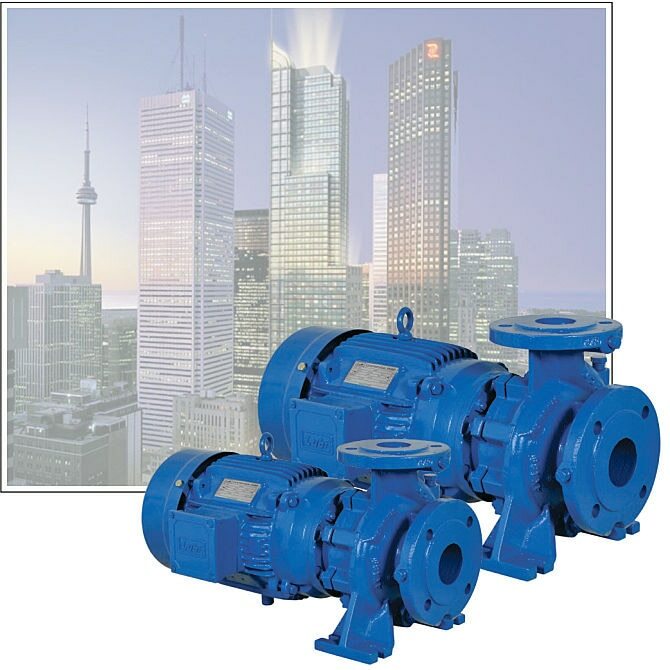 • These pumps have the discharge range from 35 to 2790 USgpm and head range from 15 to 470 feet. Motor ratings are from 1 to 200 HP. • The pump impellers are dynamically balanced to grade 6.3 of ISO 1940. 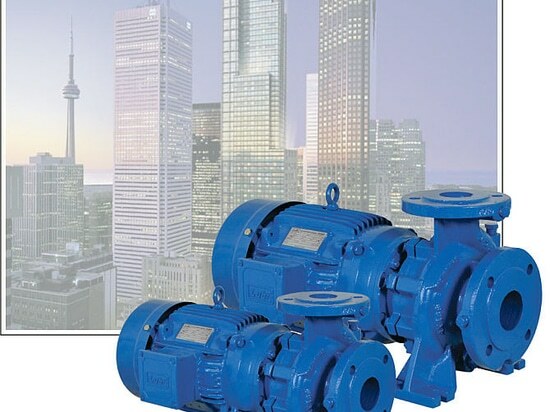 • These pumps are available with NEMA standard range of motors complying to meet or exceed the efficiency requirements of the US Energy Policy Act of 1992 (EPAct) and Natural Resources Canada Standards (NRCan). • The efficiency will meet or exceed full load efficiency of TEFC motors as per Table 12-11 of NEMA standards MG 1-2006. • They can also be supplied with NEMA premium efficiency TEFC motors as per Table 12-12 of NEMA standards MG 1-2006 on request. • These pumps feature the back pull-out design. As shown in fig. 1 the user can remove the motor, bearing bracket and impeller for servicing without disturbing the volute casing and the suction & delivery pipes. • We can also supply pumps with IEC standard motors with aluminum frame size from 71 to 160 and motor with cast iron frame size from 180 to 315.